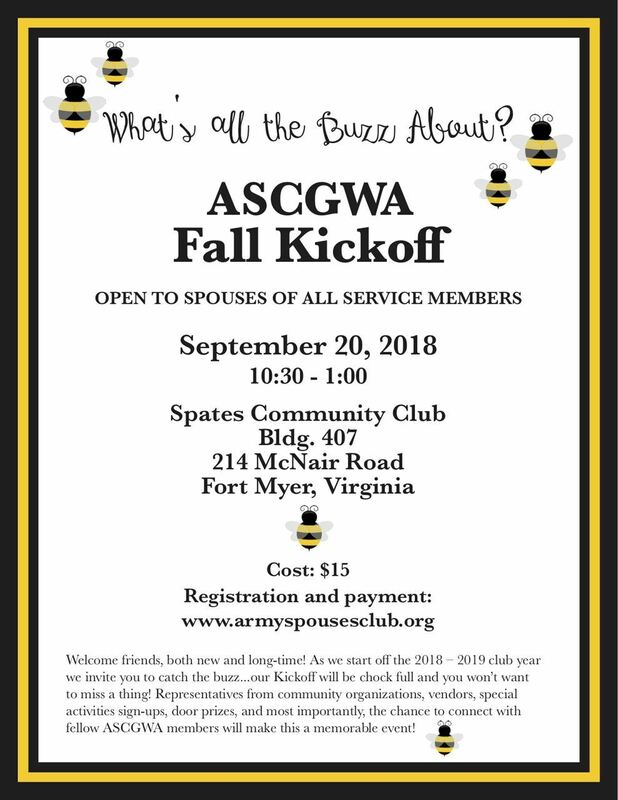 Join us as we unveil the 2018-2019 Army Spouses' Club year! We've been quiet this summer because we've been VERY busy planning an amazing year! We can't wait to see you on September 20 at Spates Community Center.